He chose MDIS over other private education institutions because of its established reputation and firm foundation. 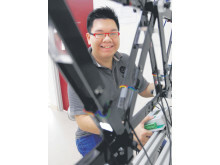 Mr Ying completed a Diploma in Engineering at MDIS in 2010 and is now a first-year undergraduate in the three-year Bachelor of Engineering (Honours) in Mechanical Engineering programme offered by the renowned University of Bradford in the UK. MDIS firmly believes in providing a conducive and invigorating environment for its students and that includes investing heavily in its new laboratory and workshop facilities that not many private education institutions are able to provide. 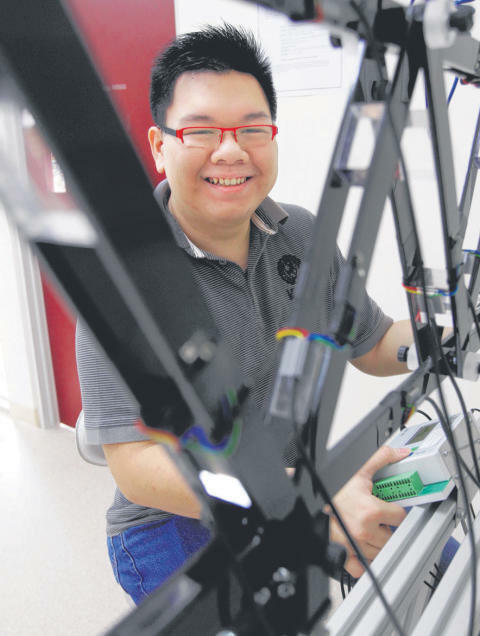 A favourite module of his was Mechatronics, where he and three of his classmates learnt how to build an obstacle-avoiding robot in seven weeks using materials learnt from lectures, tutorials and lab work. What makes the University of Bradford programme offered at MDIS attractive to him is that it is identical to the UK university programme on campus. The lecturers are hired based on stringent criteria set forth by MDIS and the University of Bradford. They have to have at least two years of industry experience and at least a Masters degree before they can be considered as lecturers. With approximately 12 contact hours per week, Mr Ying does at least one hour’s revision daily. Having an A-level background has given him a strong foundation and helped him excel in his diploma programme. During his free time, he likes to read books, engage in computer gaming and hang out at the spanking new MDIS campus. 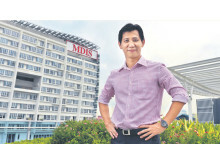 Studying the degree programme at MDIS has also exposed him to a diverse mix of local and international students. 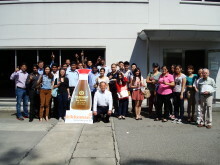 “In my class, I meet people from China, India, Myanmar, Vietnam, Malaysia and South Africa. It is a conducive learning environment as all of us help each other with our coursework and assignments.” In addition, with a small lecturer-to-student ratio, students enjoy a high degree of interaction with the lecturers. As part of the pioneer batch of students in the degree programme, Mr Ying is confident of his career prospects upon graduation. He hopes to follow in the footsteps of his father and work as an offshore engineer and travel around the world. Another of his interests is to work in the aerospace industry where he can see and touch gigantic planes in full glory. 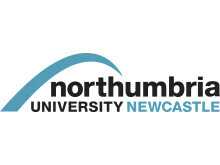 'For prospective students planning to enrol in this course, Mr Ying’s advice is “to do it full-time if possible so that you have more time for revision and to prepare for your exams, which usually makeup 80 per cent of your grade’’. Entry Requirements: GCEA levels with at least three C grade passes including Mathematics and Physics. 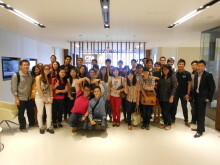 MDIS Diploma or Higher Diploma in Engineering. Polytechnic diploma holders in a relevant discipline may enter at Year 2. Other equivalent qualifications from recognised institutions will be considered on a case-by-case basis. - By Douglas ChewSource:[The Sunday Times 16022014] © Singapore Press Holdings Limited. Reproduced with permission.